Rename 'Hey Cortana' with this app. Home Windows Rename Cortana with ‘MyCortana’ app. Rename Cortana with ‘MyCortana’ app. 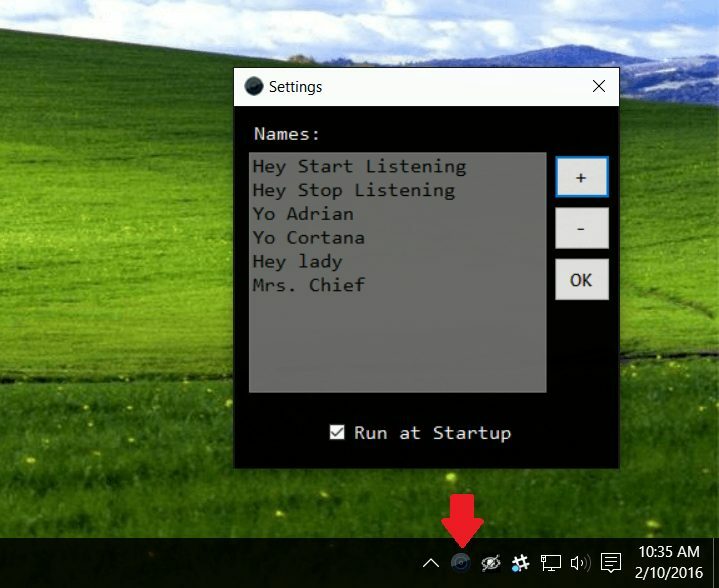 Now you can rename Cortana and make to more personalise. Microsoft’s Windows 10 OS is now on 220 million computers worldwide and counting. While Cortana, the personal digital assistant, is not available in all regions its presence is indeed growing. Currently, Cortana’s optional voice activation works by saying ‘Hey Cortana’ with the command following. Users can say things like “Hey Cortana…what is the current weather” or “Hey Cortana…remind to pick up milk next time I’m at the supermarket”. The common element in all of that is saying “Hey Cortana”, which wakes the assistant. MyCortana is a free x86 application (.exe) from LazyGuyz that runs in the background. It doesn’t use any CPU when not in use and only consumes 38MB of memory (something like Skype for PC is double that size).